We all hope we will get old. And that, itself, is a peculiar thought. I suspect that most of us would like to remain youthful for ever (I certainly do), but of course growing old is better than the alternative. These ideas bind us all together. They are shared psychological concepts. 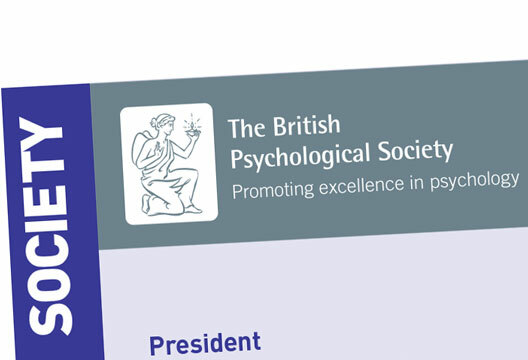 This month sees several initiatives taken by the British Psychological Society to reach out to the public with greater authority and inventiveness. We have a new website, designed specifically with members of the public in mind. Over the past few months, we’ve been engaged in a process of studying the way people used our previous website, asking a wide range of users and potential users about what they wanted, and testing out different options. We’ve been moving a very large amount of content (both much of the text of the old website, but also a large number of documents and reports available to download through the site) across. We are still working on both the content of each page, and on the material available, so if you have suggestions – or if you’ve spotted an error, or even if you have suggestions for how we might phrase our language most appropriately – let us know. As psychologists, we’re interested in prenatal care, in child and maternal mental health, in education, in criminal justice, in care for people – like me – entering what the Japanese beautifully refer to as ‘silvering’ years. And that speaks to the breadth of psychology – we are interested and engaged in everything that matters to human welfare. So we have also begun work to establish an All Party Parliamentary Group on Psychology. Clearly targeting politicians, this, too, is designed to engage the broader public in our work. For me, this speaks to a powerful role for psychology. For me as a psychologist, our mental health and wellbeing depends on the things that happen to us, how we make sense of those events and how we respond to them. Differences between people are largely the result of social and psychological influences. In my view, common psychological principles apply to health psychology. Everybody makes sense of their world, and does so on the basis of the experiences that they have and the learning that occurs over their lifetime. We all use the same basic processes to understand the world, even if we come to very different conclusions. This is about recognising the essential legitimacy of the ‘anguish and suffering of other human beings’. It is essential, in my opinion, to promote empathy rather than mere sympathy in pursuit of genuinely compassionate care. And I think psychologists have a great deal to offer here.